The What: Leyard and Planar debuted their new Planar VM Series Wednesday, the first day of the Digital Signage Expo. The Planar VM Series is the newest addition to the company’ lineup of tiled LCD video wall solutions. The What Else: The Planar VM Series is available in 55-inch displays with an extreme narrow-tiled bezel width of 1.8 millimeters or ultra narrow-tiled bezel width of 3.5mm for near-seamless video walls with 4K60Hz connectivity and loop through. The extreme narrow bezel option is available in either 700- or 500-nit brightness. Enhanced brightness of up to 700 nits, producing vibrant images and messaging even in high ambient light conditions. It uses in-plane switching (IPS) panel technology for improved off-axis viewing and contrast ratio. 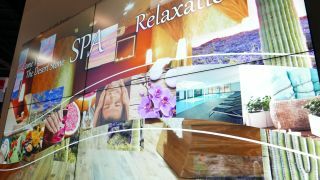 Tiled bezel widths as small as 1.8mm or 3.5mm between adjacent LCD displays offer a nearly seamless video wall solution. Fan-less design allows for configuration in video wall arrays in landscape or portrait orientation. Standard, built-in video wall scaling for arrays up to 10x10, mullion compensation, configuration presets, and HDCP 2.2 loop through content protection. Support for the latest 4K input connectivity standards, including both HDMI 2.0, DisplayPort 1.2 and OPS, and the Open Pluggable Specification for add-in connectivity, compute and play-back devices. The Bottom Line: Leyard and Planar developed the Planar VM Series as a feature-rich, LCD video wall solution option for customers who want the advantages of a high-impact LCD video wall at a budget-friendly price point. The Planar VM Series is available to order now.